SEfIAS'18 is a GI-Dagstuhl seminar for early-career researchers working in the areas of software engineering, and intelligent and autonomous systems. Software systems are increasingly used in application domains characterised by uncertain environments, evolving requirements and unexpected failures. Sudden system malfunctioning raises serious issues of security, safety, loss of comfort or revenue. To tackle this challenge, researchers and practitioners investigate how to engineer intelligent and autonomous software systems capable of dynamically adapting themselves without any or with limited human involvement. Through using closed-loop control, typically realized with software, these systems can autonomously identify abnormal situations, analyse alternative adaptation options, and finally, self-adapt to a suitable new configuration. Over the past years, several research communities have devoted significant efforts to devise methodologies, algorithms and frameworks for engineering autonomous computing systems. Some noteworthy examples include the SEAMS, ICAC/ICCAC, SASO, Self-Aware Computing and AAMAS communities. Irrespective of the incarnation and particular focus of each community, the main objective remains the same, that is, to make computing systems more intelligent and autonomous. Despite the mutual interests, these communities typically participate in disjoint research forums such as workshops, conferences and journals. Hence, they rarely have the opportunity to meet in a common venue. The SEfIAS GI-Dagstuhl seminar aims to bridge the gap between these communities and make an initial step towards strengthening interaction and collaboration between these communities. 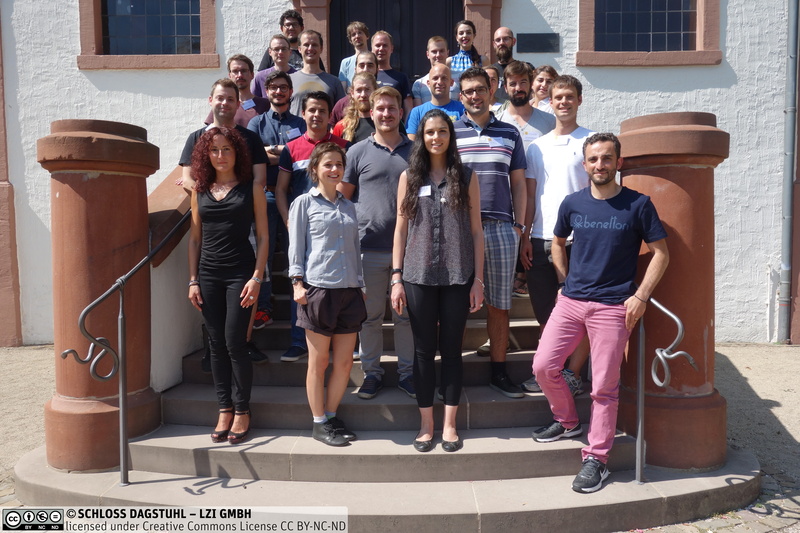 The main goal of the SEfIAS GI-Dagstuhl seminar is to bring together early-career researchers from the SEAMS, ICAC/ICCAC, SASO, Self-Aware Computing and AAMAS communities working in the area of software engineering for intelligent and autonomous systems. Travel information can be found on How to Get to Dagstuhl. Please check also the Upon your arrival / prepare your stay page. To reach Schloss Dagstuhl from Frankfurt Main Station or Frankfurt Airport, you can take the regional train to Türkismühle (trains run every hour, alternating between a direct connection and a connection requiring a transfer in Mainz; check out bahn.de for connections) and then for the last mile a taxi from Türkismühle to Dagstuhl (20 min. ride). Though it will be likely more expensive, you may also take a taxi directly from Frankfurt Airport. Taxis should be booked at Taxi Martin (taxi company cooperating with Schloss Dagstuhl) as people booking for the same time and place will be grouped, which reduces the costs per person. When contacting Taxi Martin, you may also ask about the number of people who have already booked a taxi four your time and place. Prices for taxis are listed on the page linked above. We would like to thank the Gesellschaft for Informatik e.V. (GI, German Society for Informatics) and Schloss Dagstuhl for partially funding this seminar.